Quality is an essential element of any manufacturing business. Whether you specialize in automotive, medical, food and beverage, aerospace or another highly regulated industry, every manufacturer faces strict quality and customer requirements. So how can you find a a quality management system to help you mitigate risk and manage your quality requirements? Our reference tool will guide you through the following three steps to help you find the right Quality Management System (QMS) for your business. 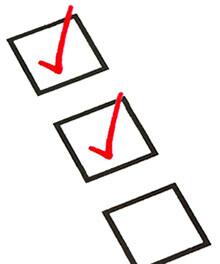 Quality audit check list. Including the top 20 most common quality tools used by leading manufacturers. Download our Quality system reference guide, A 3-Step Workflow to Find the Right Quality Management System, so you can be absolutely certain the QMS you select is the right choice for your business.